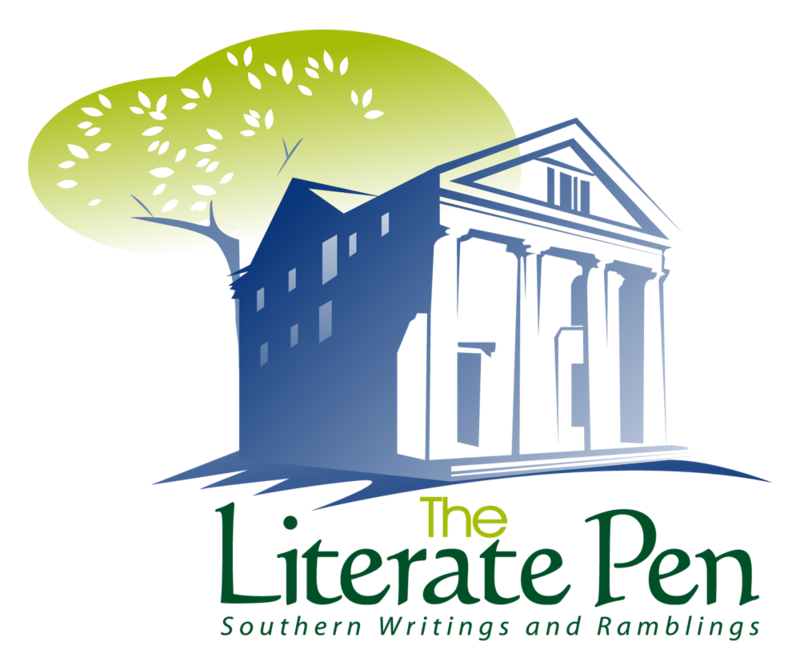 The Literate Pen turned one year old earlier this month, although it had existed for a few months prior to then as….something. Call it an embryo or a confused bunch of ideas but it wasn’t anything like an organized effort at serious writing. Eventually though, it all came together and after a few articles, creating a WordPress blog for it and getting it all linked up, I had a name for it, a website, a Facebook page and a bag full of ideas about things to write about. I didn’t realize I would enjoy writing as much as I do and certainly worried about whether I would run out of ideas after a few months but as it was, I discovered something that I have a passion for and a year after kicking off the The Literate Pen, I have a stack of post-it notes with ideas for development into stories and writings. With this in mind, I plan to approach year two of my writing journey with a few new goals for the “Pen”, one of which I was able to take care of before the month was over….a new logo for the website, Facebook and Twitter. The first logo was something I was very proud of just because it was a logo that was crafted by a true graphic design artist but realistically, other than the image of the pen and the paper, it didn’t really say a whole lot about me as a writer or the type of writer I was-but it was better than nothing. This time around, I had a better idea of who I was as a writer and that the logo should be reflective of that. I wanted it to convey “Southernism” and nothing does that better than an old house, especially an old antebellum house because that is what frequently comes to mind when one thinks of this region. The house in the new logo shown to the left has that Southern charm but with a look of faded grandeur, almost ethereal, as if to remind the viewer that much of that which is old is fading away as time marches on. Long, evening shadows stretch along the side of it and a large old oak tree in the flower of spring stands firmly behind it, branches reaching for the sky… and if you look at it, you can see how the shadows on the house form a visible trunk for the tree. To me, that implies hidden truths in things and that is something that is truly a part of the South. I also added the word “Southern” to the tagline “Writings and Ramblings” which I think better describes what my writings are about. Even when I’m not writing about the South, the South is in me and therefore it influences what I write and the way I write it. So with the logo redesign behind me, I can now focus on a couple of other goals I have for the blog as it moves forward. One is that I want to try to discipline myself to write and publish on a more regular basis and not quite as haphazardly as I have in the past. Pick a day of the week and let that be the day I publish something. I try to write at least an average of four articles a month but sometimes I might publish two in one week and then go two weeks without publishing anything. I’d rather be known as consistent than average. Whether I can pull that off remains to be seen given my schedule but I’m going to give it a shot and try for Fridays each week. Please don’t hold it against me if I swerve off course and please understand that there will sometimes be events that occur or special occasions that I feel I just have to write about and publish at the time they occur rather than wait several days for Friday to roll around. For example, in November I will be traveling to Washington DC and I’m sure there will be much to inspire me to write about the center of our government and the history that resides there. Finally, my next goal is to get Freshly Pressed! For WordPress writers, this is the ultimate achievement to be picked for Freshly Pressed and I hope to make that a reality in the year ahead. Every day, Word Press picks a number of blogs, each one in a particular area such as family, current affairs, life, etc. and puts them on their front page for a day. Getting Freshly Pressed is a once in a lifetime experience for most writers and I have been assured that if you are persistent in being a writer, sooner or later your number will come up and you will get featured and that opens up your blog to hundreds of thousands of people who use WordPress each day. Fortunately they give you notice so you can be prepared because a good writer might get thousands of reads in one day, hundreds of comments and usually will pick up scores of new subscribers and regular readers. Short of getting your first book published, it’s the next best thing. Keep your fingers crossed for me. As always, thank you readers for your interest in my writings and your comments, likes, stars and subscriptions. They mean more to me than you can imagine. Until next Friday, have a great weekend! I support posting on a schedule. I post every Monday, and if I have something to say I post Thursday too, both days at 5 am. I always schedule posts in advance. People know to expect my posts at these times. I’ve been Freshly Pressed three times. I’m not sure how I’ve been so lucky. I’ve poured my heart and soul into a few key posts that have been soundly ignored, even by my regular readers. I’ve been Freshly Pressed on two of my routine old-camera posts, and once on a throwaway post I wrote about grammar. The grammar post got me 4500 hits in one day, and 12,000 hits that month. I have gained more regular readers from that confounded post than from anything else I’ve done on or around the blog. I’m grateful, but I just don’t get it. I guess my point here is that the WordPress editors’ criteria for worthiness are murky. But I do know one thing: I started getting Freshly Pressed when I started using common tags. Before that, I toiled in utter obscurity. I suspect that the editors troll for posts by seeing what pops up under common tags. Now I just have to make myself do it! Good going Michael – I certainly like to see a man who’s Freshly Pressed and hope you are picked. Does this all get you closer to your book goal?